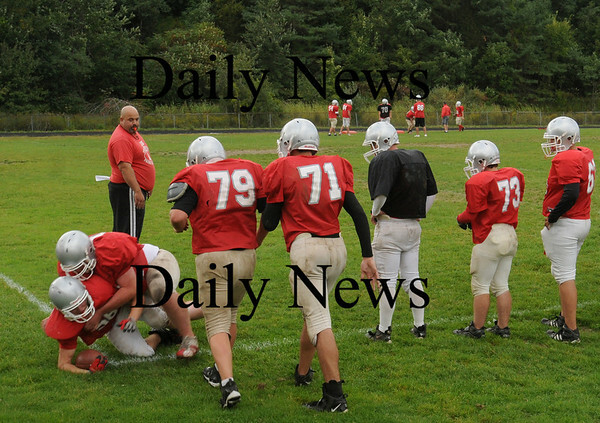 Amesbury: Amesbury High football team practices at the high school field on Wednesday afternoon. The threat over EEE isn't high enough in town allowing games and practices to continue. Bryan Eaton/Staff Photo Newburyport News Wednesday September 16, 2009.